When Stink was first diagnosed with Tourettes, I was still holding onto hope that he would attend the Catholic school of my youth. He would play sports and go through the Sacraments and be just crafty enough to be adorable in his skinned knee navy shorts but obedient enough to get straight A’s on his report card be head altar server. It was an awesome dream and so much fun to fantasize about! Then all the kids from his preschool got their acceptance letters into kindergarten. Stink did not. Given I had no indication whatsoever from his preschool teachers that he would not do well at the private gradeschool (he always had glowing reports on his character, behavior and cognitive/motor abilities), I made an appointment with the grade school principal. She was five years younger than me, but acted like a stern sixty year old. As I sat there, looking at her somber face in front of an oil painting of the Good Lord, she informed me that Stink seemed very immature at the intake interview. “He’s FIVE!” I responded, flabergasted. “Why in the world, then, with that many children, would I want to spend 10k/year on your school?” I asked, incredulous. “For the Christian environment,” was her clipped response. “Oh, yeah, I’m really feeling the love here!” was my retort. So off I went, enrolling him instead in a local charter school. We’re all different religions and sexualities and neuro make-ups and all kids are honored and get this: It’s free and the teacher student ratio is 22 to 1. Jesus would be proud! My advice to you, today, is to be sure that the school your son or daughter is in does not reflect what you, as their parent, want. Your child is not supposed to live your dreams. They are supposed to live theirs. And that means being supported in a place that best fits their personality, disposition and academic requirements. I love my charter school! I have the best communities of moms and dads I could ever ask for. (Literally, there are 15 parents at any given time I can call and say “Please pick up my child… I’m running late!” and boom – DONE. Community is everything. And not just any community. A community you are comfortable in. Here’s a response from a reader here, Leanne, who spoke in my last post about the importance of talking to your child’s school about any issues they might have in order to best ensure their educational success. Yes, my son is on Intuniv for tics. 2 mg in the morning, and then the generic form (guanfacine) 0.5 mg afternoon (because you can’t cut the Intuniv pills in half but can the guanfacine). My son seems better than he was December 2011 when we got the diagnosis……I believe because of the Intuniv. We didn’t put him on it until June 2012 and only did then because he was SHOUTING HIS WORDS and I can’t even tell you what that was like. Horrible. He waxes and wanes. I was scared to death of him starting middle school. I truly was (yes public school). So I went into middle school before it ended for the year last spring and met with the principal and counselor and let them know I had an incoming son with Tourette’s who would be there in fall. I had printed off information from the TSA website on what it is, and I also printed off an “introduction paper” on my son and paper clipped a picture of him as well so they would recognize him when he came in. He does have loud vocals waxing and waning. Some teachers have allowed him to chew gum in class discretely (so other kids won’t want some) and that helps his vocals, so do gummy candies but I try not to do much sugar. He “disguises” it as well with his words in sentences going up and down in volume. I was petrified of middle school for him. But I did all I could BEFORE he got there which I think is huge. Your mind can take you down some dark, scary roads that don’t even turn out to be true. I think if you met with middle school staff your mind would be put at ease. This got so long…….there is just so much I could say because I have been there, I do understand, and will continue praying for you. I will answer any questions any time. * Photo taken 3 years ago. These kids are still best friends. So much of that has to do with the school. 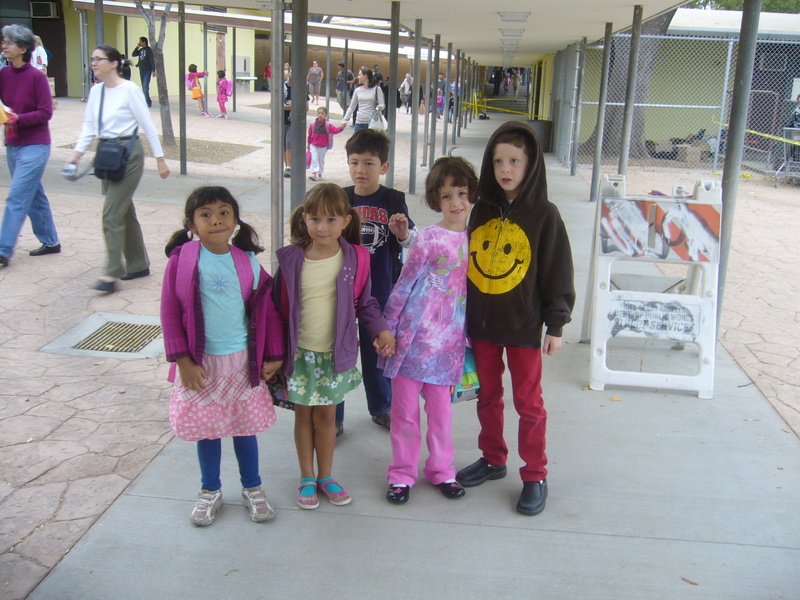 It’s a school that advocates for diversity and togetherness with no bullying policy. I AM SO GRATEFUL! Previous postA Mom In Need – Who Can Support Her? Thank you, Jemy! I will check it out. THere is actually a clinical trial at Yale Medical Centre researching the effects of NAC on tics/tourettes. My son will be starting on the supplement next week. Crossing my fingers. After a 6 months wait we finally saw the ”head/top/best/most” neurologist at the tourette clinic at the childrens hoslpital in Montreal. He started by explaining that if you sit and observe a classroom full of 8 year old kids….. 20% of them have tics .He said my 81/2 year old son has ”mild” tourette …no major comorbidities, except trouble falling asleep… that problem is mostly solved with 3mg of melatonin 45 minutes before sleep every night. Also we should expect A CHANGE in about 1 1/2 year or so. He also said that 85% of kids with tourette the tics diminish or completly dissapear at about 14 years old …the 15% remain in adult life. He prescribed 14 pills of abilify for the periods my son hurts himself because of his tics (neck jerk, biting his tongue/lip…). I’m supposed to give him the Abilify during those flare up days….and he will see us in August. My friend who is a pharmacist said Abilify is fairly new and will knock him out…..I will deal with that if or when the time comes. I noticed in the waiting room there was about 7 boys and 1 girl. That day I was expecting to see kids in the waiting room ticking away but I didn’t notice one child ticking….I’m thought they were probably medicated…. My 9 year old son is on Abilify (5mg every morning) for his tics which are mainly vocals. He’s been on it for a year. It worked brilliantly for him until his recent flare-up which we has lasted way too long (he sounds like a laser gun). When you said your doctor told you to expect A CHANGE in 1 1/2 years, did he mean an increase due to peak years of tics? Yes he meant an increase; it’s pretty scary for us. I’m holding on to the part ”will diminish or dissapear” during teen years. I know my son is bothered by some tics but it’s under control. I’m just wondering…. it must be exhausting for him.